Reason for inclusion: This is one of the most highly-regarded Hitchcock films that I still needed to see. It still baffles me that out of Alfred Hitchcock’s distinguished reputation and extensive filmography, he never once won an Oscar for Best Director. 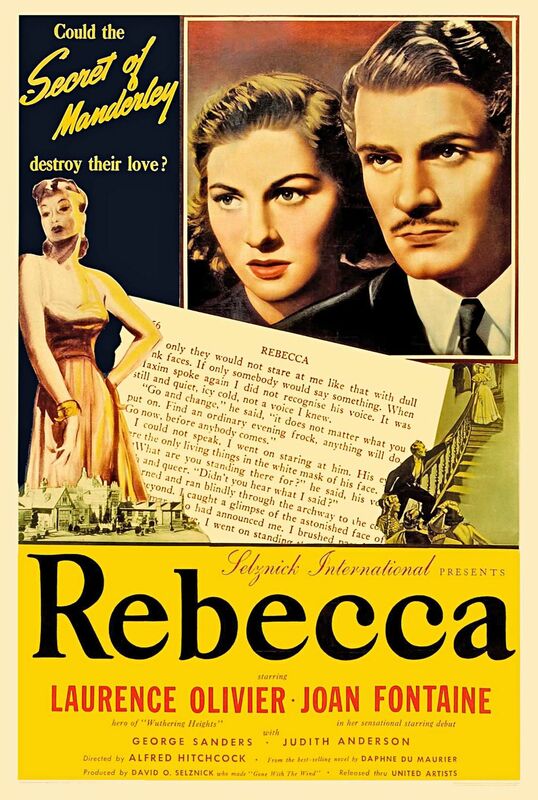 In fact, Rebecca, his very first American film, is his only Best Picture winner. Despite its accolades, Rebecca always seems to somehow get lost in the shuffle. This certainly happened to me, as it is somewhere around the tenth Hitchcock film I have seen. 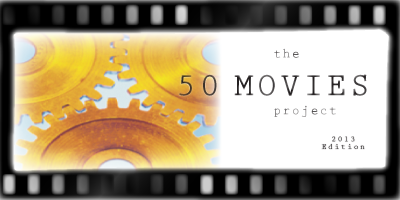 Make no mistake — this is a fantastic film that deserves to be mentioned among his best. 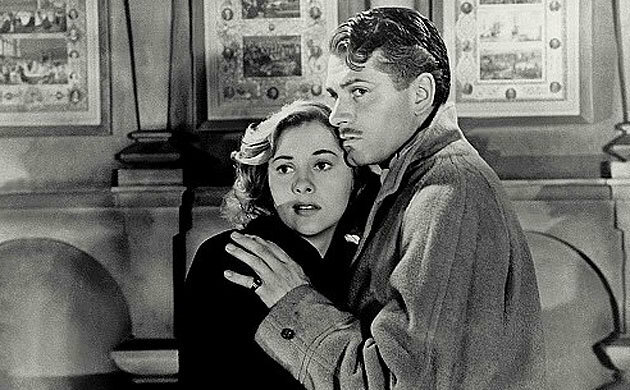 Rebecca tells the story of a young woman (Joan Fontaine), never identified by name, who works as a paid companion of a wealthy businesswoman (Florence Bates). While accompanying her boss on vacation in Monte Carlo, the young woman meets a lonely aristocratic widow named Maximilian de Winter (Laurence Olivier). Despite obvious differences in class and social stigma, the two hit it off, and Maxim invites her to go back to his glorious mansion, Manderley. Within just a couple of weeks, the two are married. The new Mrs. de Winter has seemed to reinvigorate Maxim with a new outlook on life, but she is constantly under pressure in Manderley. The presence of Maxim’s past wife, Rebecca, is everywhere. Her former bedroom is still sealed shut, left exactly as it was when she passed on in a mysterious boating accident. Pictures and memorabilia from the deceased are everywhere in the estate, and the servants frequently remark on how wonderful Rebecca was. 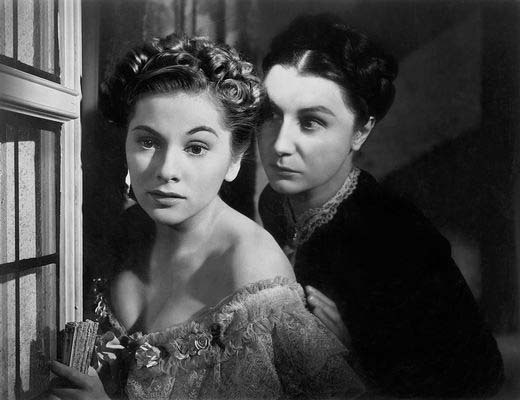 The worst offender is the lead housekeeper, Mrs. Danvers (Judith Anderson). She is seemingly still obsessed with Rebecca, and her unwelcoming demeanor consistently puts the new bride on edge. There’s something off-putting about this long-time resident, though exactly what it is doesn’t become apparent until the final act. Now, as someone who has seen nearly a dozen Hitchcock films, I should have expected a twist. Yet ol’ Hitch managed to pull a fast one on me here. After what appears to be a fairly straightforward gothic melodrama about a blossoming (but struggling) relationship in the first act, the film goes in a completely different direction. Secrets are revealed, motivations are announced, and back stories told. This eventually culminates in a fiery conclusion that again feels strikingly different from the rest of the film. Laurence Olivier, Joan Fontaine and Judith Anderson all received Oscar nominations for their performances. While Olivier is certainly memorable in this, it is the two ladies that truly impress. Fontaine is the typical Hitchcock leading blonde, but she perfectly displays the naivete of someone completely out of her element, yet one who also wants to make the best of her new situation. Anderson’s performance is ice cold, and her character’s evil nature earned inclusion in AFI’s 100 Villains list. Rebecca is not the type of thriller that Hitchcock would later become known for, but it is a haunting mystery that effortlessly managed to keep me guessing throughout. While the director would perfect his craft in later years, this is still an excellent film that is more than deserving of its accolades. Ah you’ve inspired me to watch it again, not seen it for a long time. When I watched Le Passé (Asghar Farhadi) recently I thought about Rebecca- the way we are haunted by the past and past relationships. That is surprising Hitchcock never won Best Director. I have the novel on my shelf, unread. I’ve heard mixed reactions in the blogosphere to this adaptation of Rebecca, both praise, and others who failed to see its greatness. I’ll give it a try, anyway. Mixed reactions, eh? I guess it depends what you expect going into it. It’s not a conventional Hitchcock thriller, but it’s still a fine piece of filmmaking. Absolutely worth your time. I’ll go in not expecting a conventional Hitchcock thriller then. Sound advice, thanks. Nice review. I really like this film as well. It’s not as great as some of Hitchcock’s later movies, but still a phenomenal picture. Thanks. I agree — I would put this a rung below Rear Window, Vertigo and the like, but I would still not hesitate to recommend this. Fantastic film. You liked it a little more than I did. I would probably rate it 7/10(solid but nothing exceptional) but I guess I am looking at it from the other end. This is Hitchcock’s only Best Picture Winner but personally, there are at least 7-8 films that I think are better than Rebecca. It might be unfair but that makes it drop by a point in my book. Oh, I know where you’re coming from, SDG. It’s hard not to compare a film to a director’s previous work (I was guilty of that this weekend when I went to see The World’s End). I still found Rebecca to be very engrossing, however, and I think it holds its own among Hitchcock’s greats.